On Monday the 8th and Friday the 13th of October, 4th Class were lucky enough to meet Catherine Martin TD and Senator Neale Richmond. Catherine and Neale talked about their jobs and the budget. 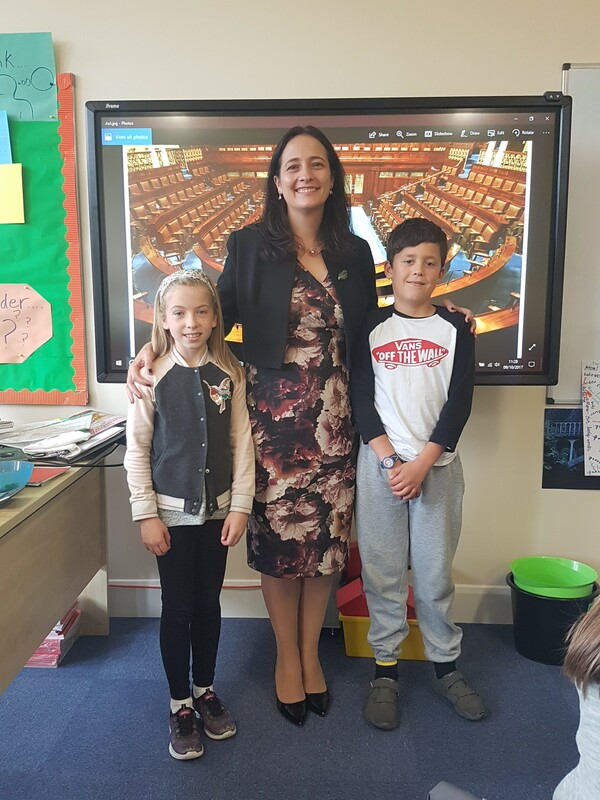 Neale talked about being a Senator in the Senate and Catherine talked about being a TD in the Dáil. They also talked to us about how people get elected to the Government. We found out that Neale has been elected twice. All of 4th class were very happy after their visits.